The show takes place in Newport, Rhode Island around the turn of the 20th century, and follows the lives of the affluent Bellacourt family. The main stars of the show are the Bellacourt sisters, whose main goal in life is to attend lavish parties and become more famous than they already are. The show's intent is to mock reality television, especially the popular series, Keeping Up With The Kardashians. 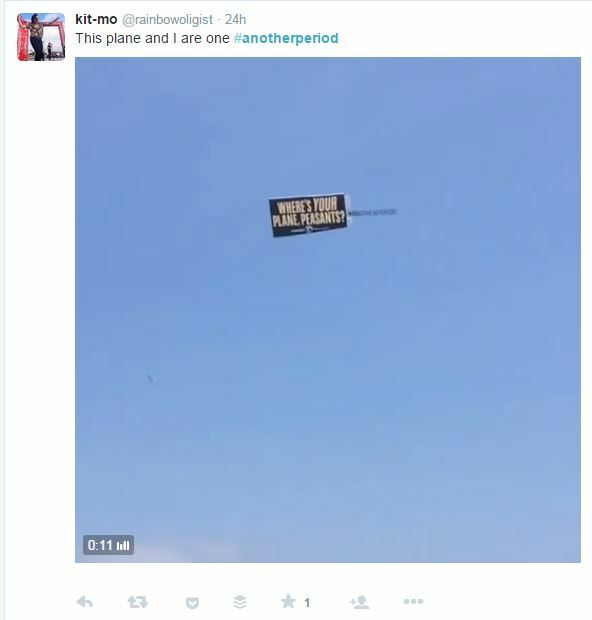 People on both coasts got a good laugh out of the banner, and took to social media to share their delight. 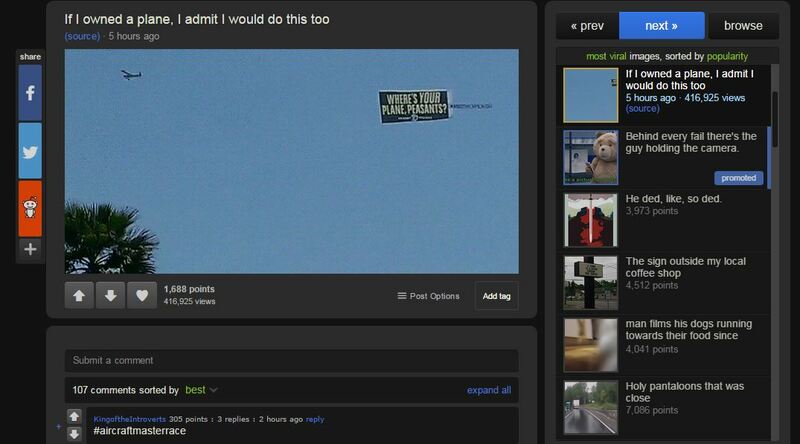 True to form, Reddit users jumped on the trend sharing the banner in the Funny section of the popular online forum. If you are unfamiliar with Reddit, it is an entertainment and social networking site where users can submit and edit content. Known for being a launching pad for most viral photos/ videos on the internet, Reddit acts as a digital bulletin board, where users can up-vote pieces of content they find entertaining and down-vote those that are not interesting. The post pictured above generated over 200,000 views in 3 hours, over 400,000 views in 4 hours, and over 2.5 million views in less than 24 hours. Click here to see how many views the banner has received as of right now! 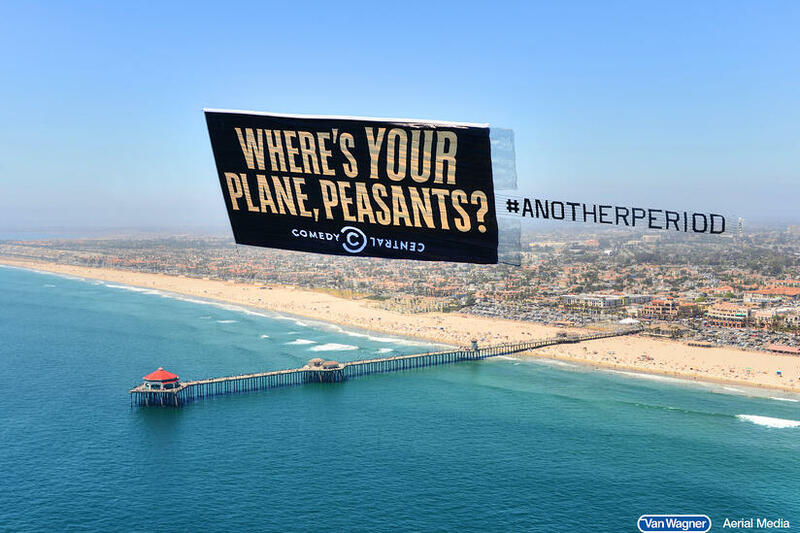 The banner's popularity on Reddit and other social media platforms like Facebook, Instagram, and Twitter is a testament to Comedy Central's expert use of copywriting and aerial advertising's ability to deliver an impactful, targeted message over a large group of people. 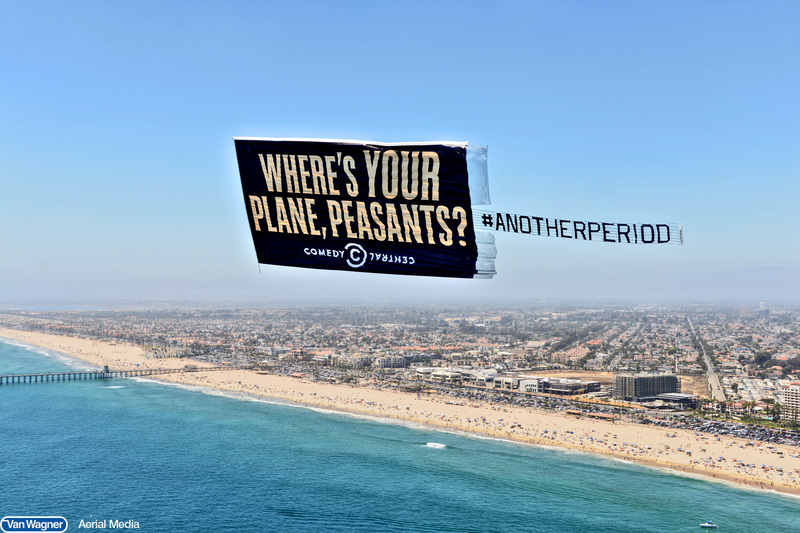 Van Wagner Aerial Media LLC produced the banner for Comedy Central and flew the ad in both markets. Known for their massive aerial billboards, and famous blimps (MetLife, DIRECTV, Hendrick's Gin), Van Wagner Aerial brings over six decades of experience in the aerial advertising industry, and 40+ years of expertise in outdoor advertising. Last summer, ABC partnered with Van Wagner Aerial to advertise their hit television series, Scandal. The banner had a similar viral-like effect, sparking the show to trend globally on Twitter within just a few hours. Have a question about aerial advertising or Van Wagner Aerial Media? Click the button below and we will get back to you as soon as possible.